Multiple carbonate cliffs are distributed in the karst mountain areas of southwestern China. The dynamic process and failure mechanism of rockfalls in the cliffs are complicated and undefined, and can be dangerous for settlements. Moreover, it is difficult to identify the potential for such failures before they occur. The rockfall of the Zengziyan cliff at Chongqing, China, is used as an example for studying this type of failure and to determine the developmental characteristics of rockfall, expounding on the evolving process from a cliff to an unstable rock mass through to rockfall. A fracturing–crashing failure mode is proposed, based on the evolutionary characteristics of damage development, compression-induced fracturing, rock mass crashing and overall rockfall. Finite difference numerical simulations were used to analyse and validate the failure mode of the Zengziyan cliff under three simulation conditions. The results of the simulations indicated that strength deterioration at the bottom of the cliff was the root cause of its fracturing–crashing rockfall. 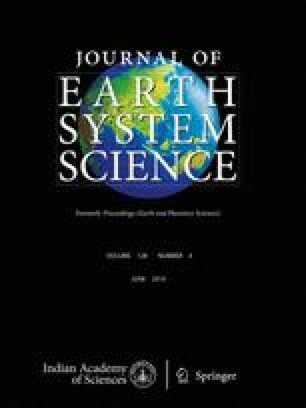 The outcomes of this paper could provide a new analytical model and theoretical basis for identifying and analysing similar types of geological disasters in the mountainous areas of southwestern China, and may provide valuable reference information for further mechanical analysis, stability evaluation and engineering prevention of unstable rock masses prone to a fracturing–crashing rockfall. This study was conducted with the financial support from the National Natural Science Foundation of China (No. 41702342) and National Key R&D Program of China (2018YFC1504806, 2018YFC1504805). He K, Chen C and Li B 2018 Case study of a rockfall in Chongqing, China: Movement characteristics of the initial failure process of a tower-shaped rock mass; Bull. Eng. Geol. Environ., https://doi.org/10.1007/s10064-018-1364-9.